internationally enhance the exchange of information and experience relating to mires and factors affecting them. The network encompasses a wide spectrum of expertise and interests, from research scientists to consultants, government agency specialists to peatland site managers. The network currently has over 550 contacts in almost 60 countries. The International Mire Conservation Group was established 1984, in Klagenfürt, Austria, to promote the conservation of mires and their complete range of natural diversity throughout the world. Its organisational structure was formalized in 2000 by adopting a constitution and electing a Main Board and an Executive Commitee. On July 7th 2001 the IMCG was officially registered in France as an association under the law of 1901. The International Mire Conservation Group hosted in 2018 its 18th International Field Symposium in Utrecht, The Netherlands. 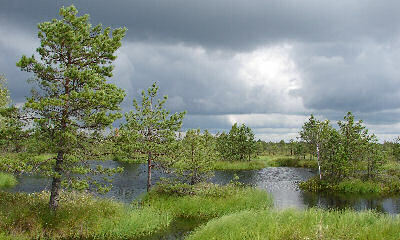 The IMCG General Assembly adopted resolutions on the mires of Poland, on drained peatlands, for Olmany mire in belarus and on the OBN network. The IMCG Bulletin is published monthly and informs about recent developments in mire and peatland conservation and restoration. The Bulletin has in 2013 succeeded the IMCG Newsletter , which was published 3-4 per year but since appears irregularly to cover strategic topics more extensively than the Bulletin can do. If you are interested in contributing an article to Bulletin or Newsletter, contact the IMCG secretariat (info(at)imcg(dot)net). The IMCG Bulletin 02 19 covering the period February 2019 and March 2019 is online..
Hans Joosten published an article on permafrost peatlands. You find the paper in the publication section. The article is filed under paper. IMCG Bulletin for December 2018 and January 2019 is online. The IMCG Bulletin for August to November 2018 is online.